To look at your progress while working in an assignment, you can keep an eye on the progress bar at the top of your screen. Click here to learn more about how the progress bar works! To look at how you’re doing in your course, look at your schedule. The circles to the right of your assignment names will show you the status of your work - if you’ve completed the assignment, the circle will be green! Click on your assignment to view your mastery percentage for that topic. 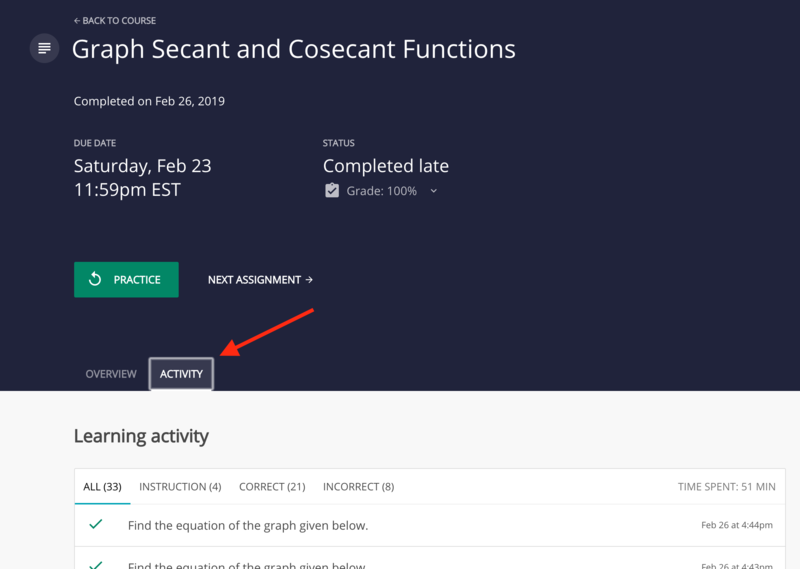 You can always see any of your previous learning activity in your assignments, including which questions you answered correctly and incorrectly, by clicking the 'Activity' tab in your assignment cover page.